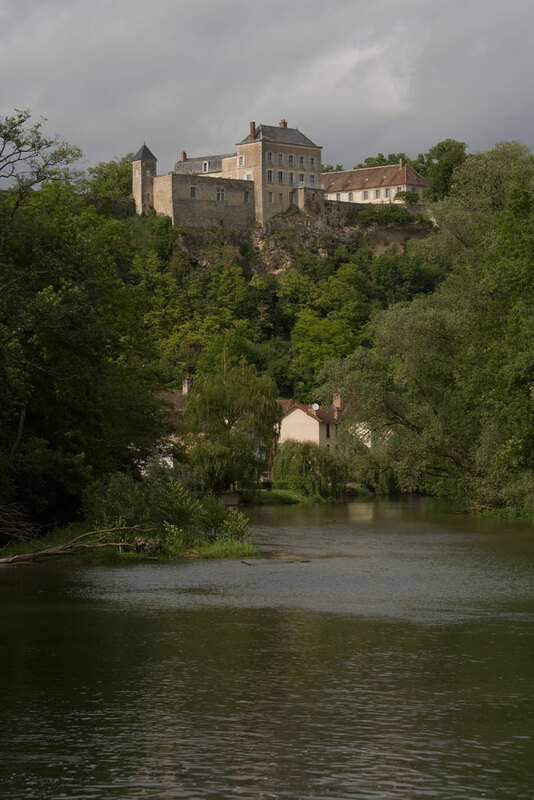 The Château of Mailly, originally a fortified stronghold and still encircled by its medieval walls, sits high above the Burgundian countryside overlooking the waterways of the Yonne River and the Nivernais Canal. 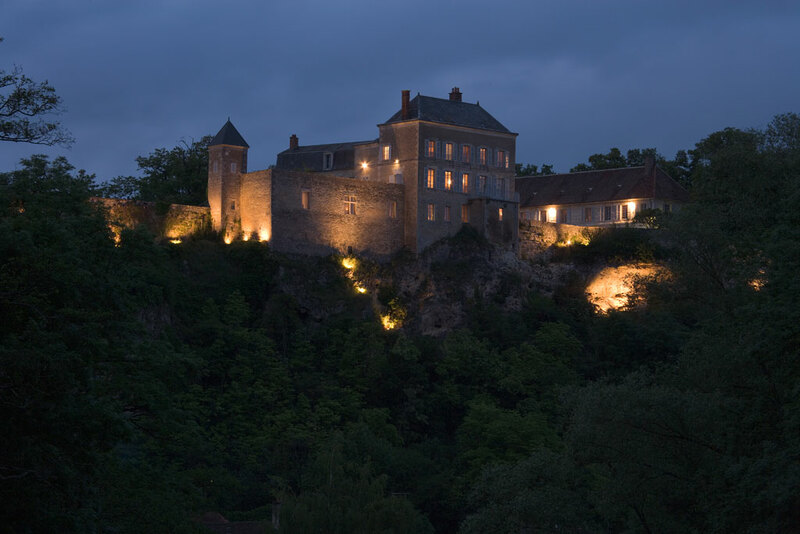 Perched on a cliff edge, the château benefits from unobstructed views stretching for miles around. 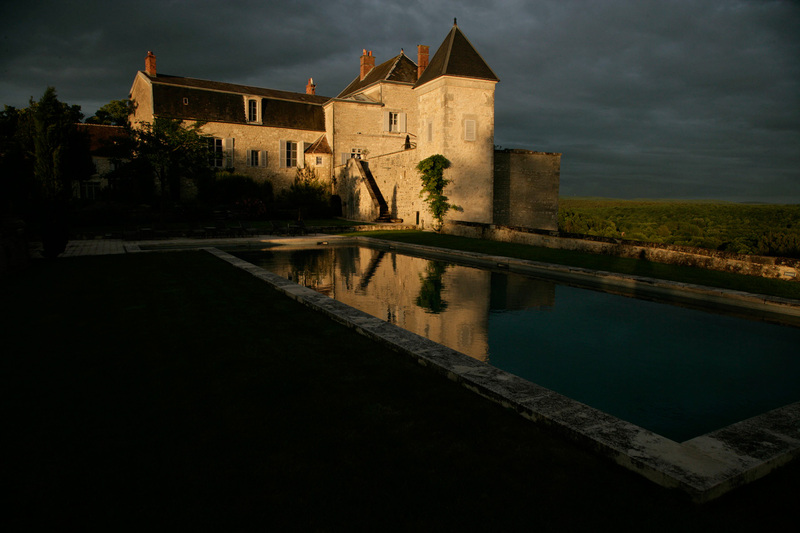 Within the fortified walls are five buildings encircling a central courtyard. The oldest structures dating from the Middle Ages are the vaulted caves now converted into spacious suites with monumental fireplaces and filled with period furnishings. 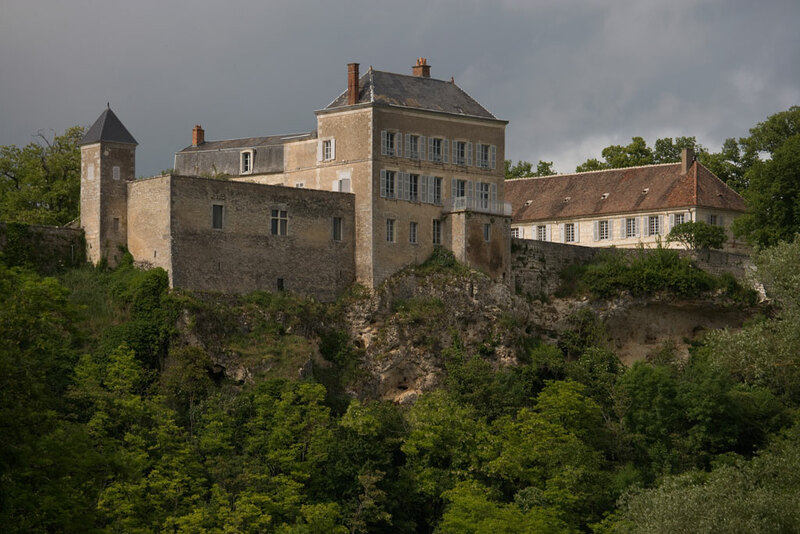 Built on top of the medieval caves is an early 19th century residence with terraces on both sides, overlooking the countryside and the village below. On the other side of the courtyard are two adjoining 17th century buildings, known as the commons. The ground floor originally housed the stables with the servants’ quarters above. Flanking the back edge of the courtyard on either side are two pavilions recently converted into light-filled living spaces with studio kitchens and bathrooms. The grounds, landscaped with beautiful gardens on several levels, offer a wide variety of magnificent terraces and outdoor spaces, most with expansive views of the lower-lying surroundings. The 18-meter heated swimming pool is strategically located on a jutting promontory benefiting from one of the most panoramic views in the region. The estate is accessible through a large electronically-operated gate ensuring complete privacy. A parking area holding up to twenty cars is enclosed within the walls. 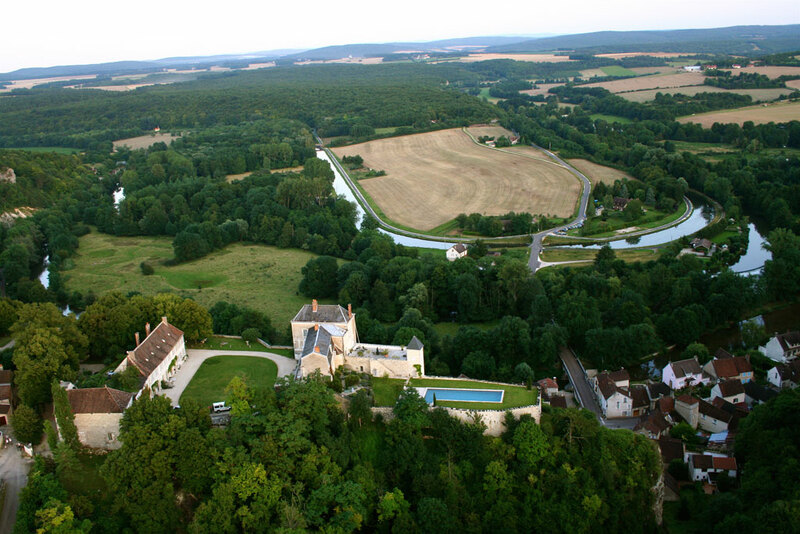 Ideal for reunions, conferences or retreats, the château’s twenty-one bedrooms – including it’s annex – accommodating as many as forty-eight guests, offer unparalleled privacy and tranquility in an elegant setting imbued with history.